Gorgeous work at Two Paperdolls. 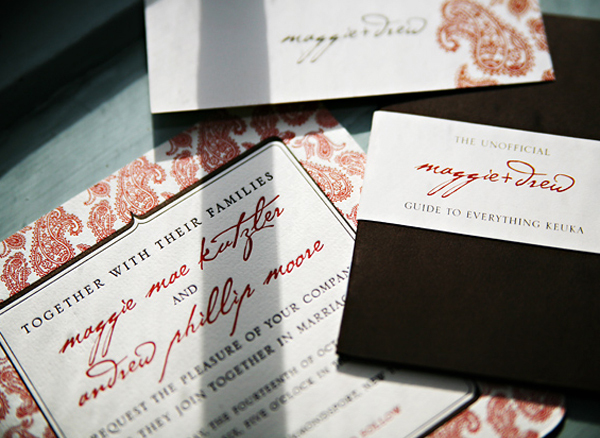 I particularly love how they show lots of elements from the weddings such as calligraphed place cards and designed drink coasters. An invite by Two Paperdolls. Their cards are simply lovely! And the photography is stunning too.